A realtor we know recently said this: “All homebuyers have buyer’s remorse at some point during the pre-closing escrow period. I never not hear from a buyer after contract signing and before the home closing, some wonder if they paid too much, others may ask if I read a recent article about the market potentially turning.” In a survey conducted last year, Trulia found nearly half of all Americans have buyer’s remorse about the home they bought. Interestingly, that figure is higher among homeowners. 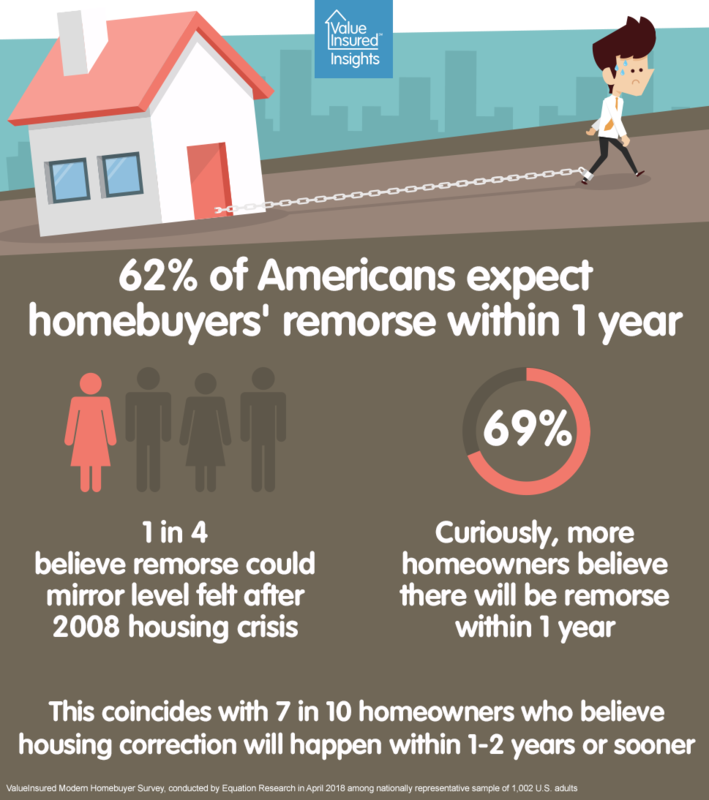 69% of all homeowners believe people who buy now will experience buyer’s remorse within one year. All these make sense as they are consistent with the unique housing situation we have now where many homeowners are sitting out the market - cautious of overpaying after they sell. Homeowners in California and Texas – two of the most overheated housing states – are the most pessimistic about the sustainability of home prices. 79% of all homeowners in CA and 80% of all homeowners in TX (vs. 71% nationally) believe a housing correction will happen within 2 years. In Texas, 44% of all existing homeowners believe a housing correction is already underway in their area. This again reaffirms the astute sensibility of homeowners who seem to have foreshadowed the latest Case-Shiller Home Price Index report released this week showing Dallas-area home prices growing at the slowest pace in five years.